If you’re planning a wedding in the Charlotte, NC area, Reverend Julie McKay-Wilkinson is the wedding minister for you! She is a dynamic, ordained, non-denominational wedding minister with years of experience officiating weddings in North Carolina and adjacent areas of South Carolina. 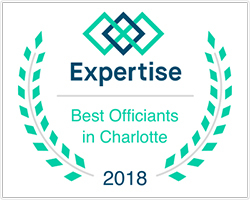 As an experienced wedding officiant in Charlotte, NC, Reverend Julie is here to bring your vision for a perfect wedding day to life, so it may live forever in your heart and in the hearts of your guests. She encourages you to make the day your own, complete with any ritual or custom during your ceremony that’s meaningful to you. And, if you need help expressing your sentiment, she can offer a number of suggestions that will add grace, compassion and symbolism to your union. In addition to being a reverend in Charlotte, NC, Julie is also available to facilitate memorial and funeral services, house, pet and automobile blessings, in-the-womb blessings, family blessings, graduation/rite of passage ceremonies, christenings, Holy Unions and commitment ceremonies. She has even officiated a Quinceañera! No matter the ceremony, she works to tailor the message, delivery and emotion for each individual choosing a non-traditional oration. 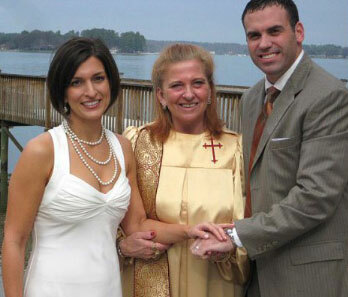 As an ordained unity minister, Reverend Julie has performed weddings in North Carolina, South Carolina, Tennessee, Kentucky, New Jersey, Florida, Georgia, Missouri, Texas, West Virginia and Pennsylvania. After graduation and ordination from Unity School of Religious Studies in 1997, she was the Senior Minister of a church in Texas. In October, 2003, Rev. Julie moved to Charlotte, NC to take the position of Senior Minister of a church in the University area of Charlotte. After serving there for over 10 years, she retired from church ministry. 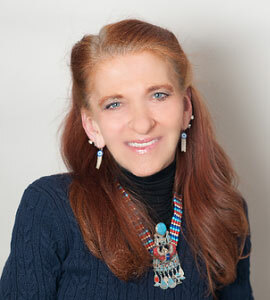 She currently officiates special services such as weddings, funerals, baptisms, as well as teaching spiritual classes. Rev. Julie will perform your wedding ceremony at any location in Charlotte and the surrounding areas, including neighboring South Carolina. As a licensed therapist practicing in Charlotte, NC for over 30 years, Reverend Julie has also helped countless people through the challenges in their lives. She is a Women’s International Leadership Association Member. She is a legally-licensed and fully-ordained minister! Your Wedding Minister also creates delicious custom cakes for all types of occasions. Happily ever after isn’t just a fairy tale—it’s a choice! Contact Reverent Julie today to bring your fairy tale to life and enjoy a wedding ceremony that’s tailored specifically to you.